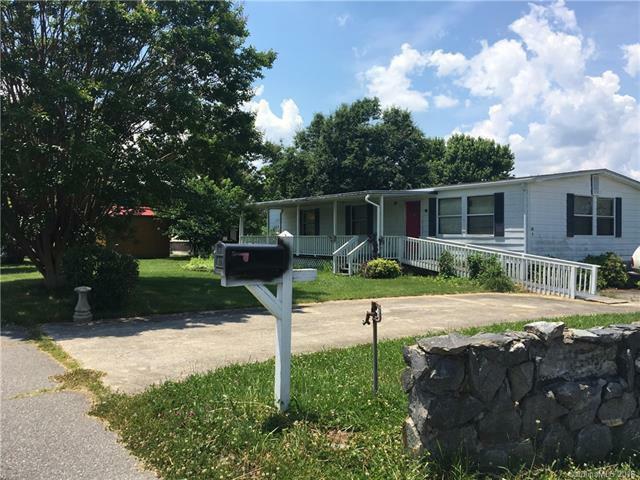 This home is located in the Oakley area of Asheville surrounded by several brand new and renovated homes on a lovely, quiet street. Breathtaking mountain views can be seen from the large, covered front porch. The corner lot of nearly 1/4 acre has two driveways. New roof in 2016 and new rear mud room. 12 x 20 workshop plus additional storage shed for your lawn equipment and bike storage. Huge master bedroom with large walk in closet and full bath with soaking garden tub. Plus another full bath with stall shower. Laundry area off kitchen and includes washer and dryer! The low, low price point leaves room in your budget for updates. Wonderful investment opportunity or great for the first time home buyer or retiree. Handicapped accessible. At this price it won't last, see it today. FINANCING IS AVAILABLE!